When cooking was more seasonal, this was a very popular salad in the late summer and autumn after the apple harvest. Nowadays with better storage methods, this is a salad you can make all year round. 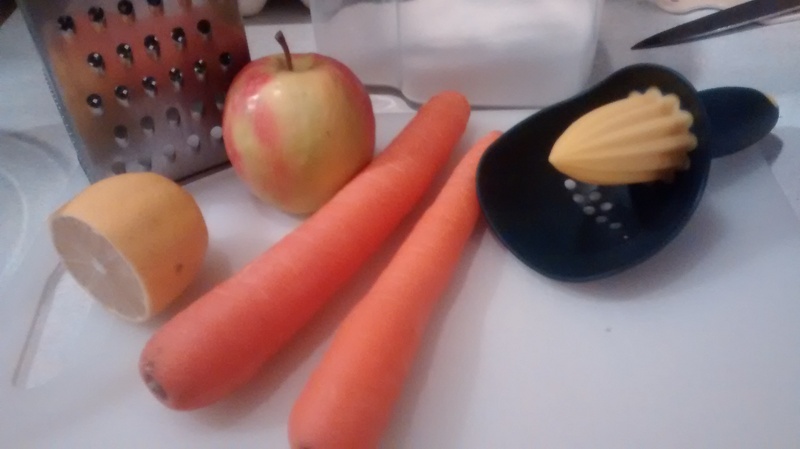 The following will make enough for 2 people as a side dish – use the ratio of 2 to 3 carrots to 1 small or medium eating apple if you want to make more. 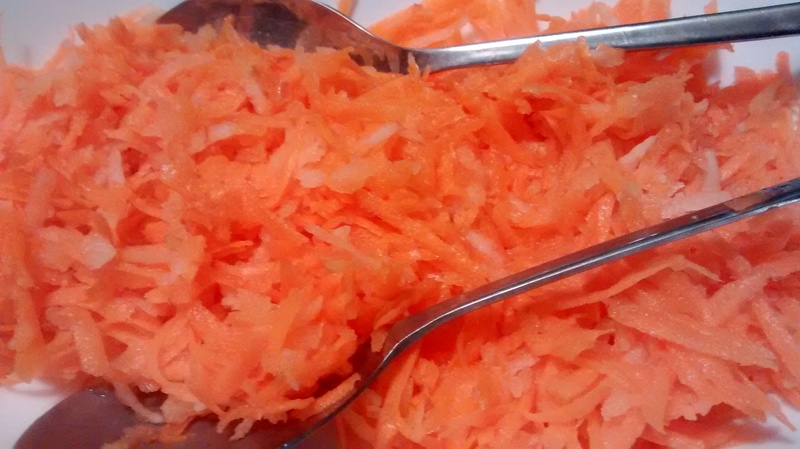 Organic carrots may have the edge here for taste but regular ones will still be good. 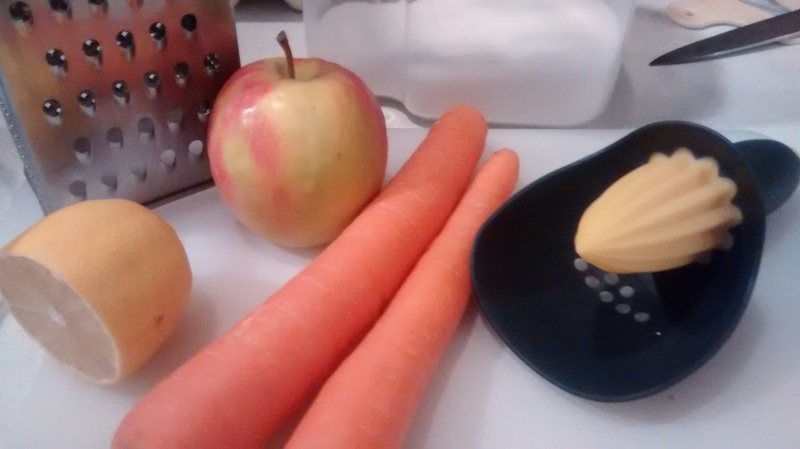 Use sweet and tasty eating apples such as: Jazz, Pink Lady or Cox’s orange pippins. 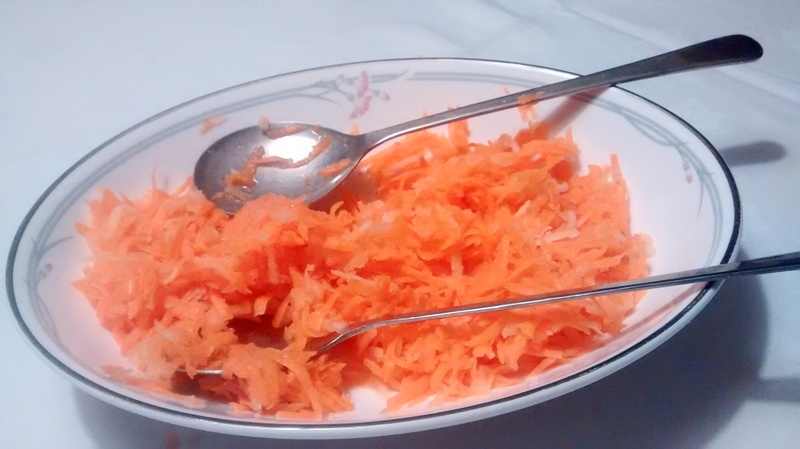 Peel the carrots and grate them using a coarse grater into a bowl. Cut the apple into quarters and remove the seed case. 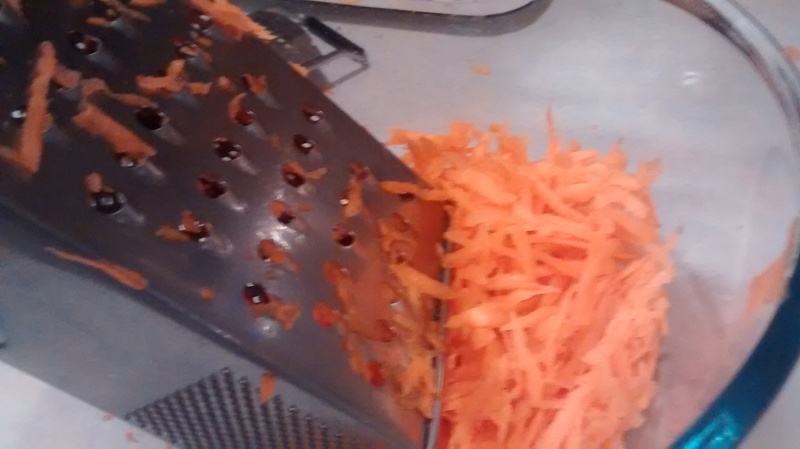 also using the coarse grater, into the bowl. Sprinkle the mixture with the sugar and add the lemon juice. Mix everything together, place into a serving dish and serve. 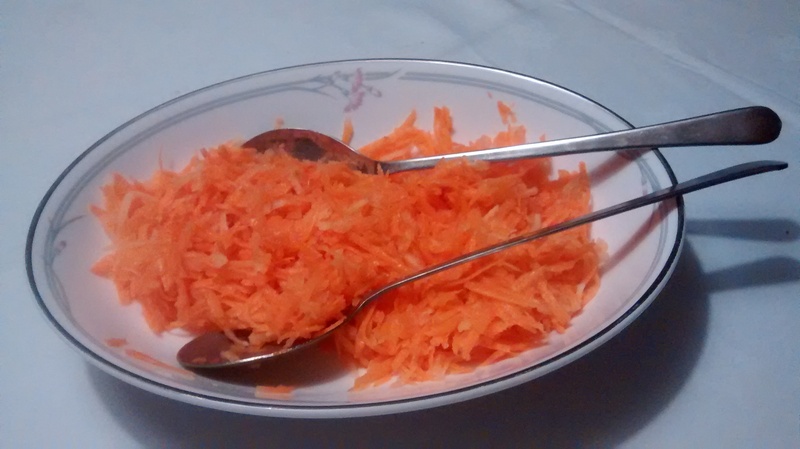 If you do not have any apples then just carrots with the sugar and lemon juice are also good.